Το Lub d Phuket Patong είναι μια πολύ καλή επιλογή για τη διαμονή σας σε Πουκέτ, είτε είστε τουρίστας είτε επαγγελματίας. Το κέντρο της πόλης είναι μόνο 15 Km μακριά και μπορείτε να φτάσετε στο αεροδρόμιο μέσα σε 45 λεπτά. Με την βολική του τοποθεσία, το ξενοδοχείο προσφέρει εύκολη πρόσβαση στους προορισμούς της πόλης που πρέπει οπωσδήποτε να δείτε. Οι εγκαταστάσεις και οι υπηρεσίες που παρέχει το Lub d Phuket Patong διασφαλίζουν την ευχάριστη διαμονή των πελατών. Οι πελάτες του ξενοδοχείου μπορούν να απολαύσουν υπέροχες δραστηριότητες όπως τα δωρεάν WiFi σε όλα τα δωμάτια, 24ωρη φύλαξη, ημερήσιος καθαρισμός, αυτόματο πλυντήριο, υπηρεσία ταξί. Όλα τα καταλύματα διαθέτουν τις απαραίτητες ανέσεις για να εξασφαλιστεί μια ασυναγώνιστη αίσθηση απόλαυσης. Οι κήπος του ξενοδοχείου είναι τα ιδανικά μέρη για να χαλαρώσετε και να ηρεμήσετε μετά από μια πολυάσχολη μέρα. Απολαύστε τις ασύγκριτες υπηρεσίες και μια πραγματικά περίβλεπτη διεύθυνση στο Lub d Phuket Patong. 5 minute walk to Patong beach. Plenty of cheap massage places in the area. Night market with a good variety of food options within 2-3 minute walk. 7-11 and Family Mart close by. A few amenities that one can enjoy: arcade, Foosball, table tennis, pool table, boxing ring, punching bags. Wifi was fast, AC and hot water worked well, TV had Netflix. They also have laundry facilities that one can use for a fee. Only downside with the unit is that the balcony is very small (Cannot swing on the hammock). Otherwise, everything was great and we would definitely stay here again. Luv d was great because it was central to everything. Very close to the beach residents and bars. It's suited more for the young people especially because of the pool parties . The pool wasn't inviting for us because of how it's situated not many deck chairs and the pool is glass so not very private., next to a restaurant. We would stay there again. The staff were fantastic. Breakfast was average. All day flexible Breakfast time! Lots of fun activities to do from boxing to swimming. Cool young vibes! Room is small but clean. Staff is super friendly. Thank you for wonderful stay. Definitely will come back! Very nice facility, stayed in the female dorm wing and it was super clean and comfortable. The pool area was also nice. Not much conversing with other travelers as everyone seemed to either be traveling in groups or solo travelers didn't seem so gung-ho to hang out. The place has a bar, pool, training area and loads of options to do stuff. The age is varied and suitable for mid 20’s to thirties vs just 18 year olds. 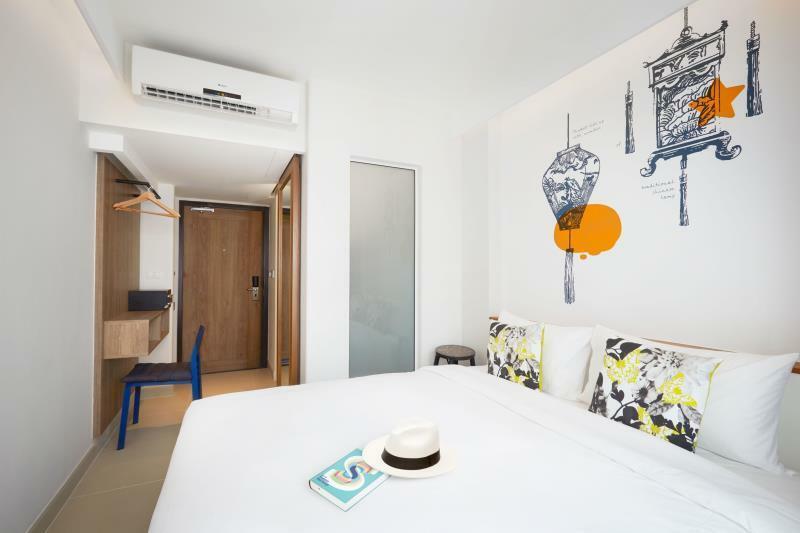 The rooms are super clean with good air con and bathrooms are really nice with hairdryers. The only con would be the staff aren’t really friendly, perhaps it’s a language barrier but I found them to be chatting to each other in hai a lot and ignoring customers standing clearly looking for assistance so perhaps a bit more notice there but that’s it - great hostel, I stayed in three hotels for £5 for a night and this was better than all three! Good location. Affordable price. Hotel provides many activities. Party at the pool if you like. One thing to improve is that the key hole in room-it’s not tight. So air con shut down itself a few times. Really love this hostel, especially the dorm area. Super clean and facilities are new. You may hang around with youngsters all over the world, just at the swimming pool area. 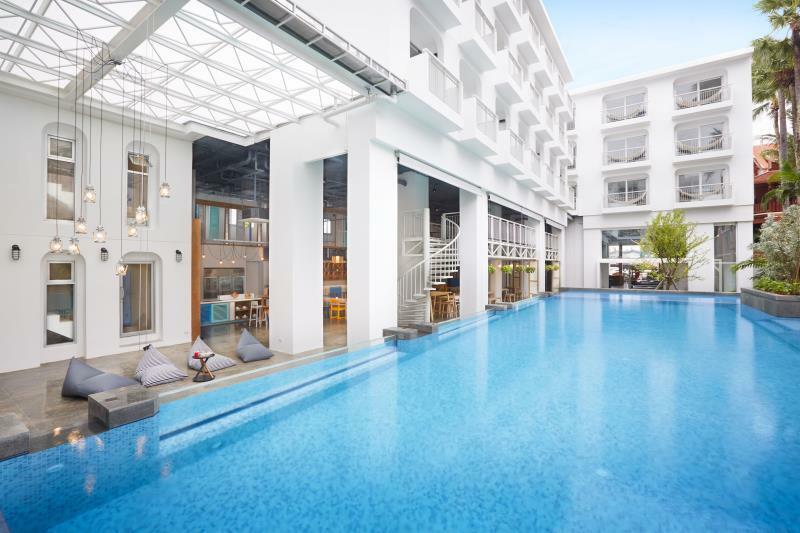 Location is fantastic with 7 mins walk to Patong Beach. Plenty of rooms for shower and toilets. Nice place for single back packers. The room is pretty cool and the location is wonderful. 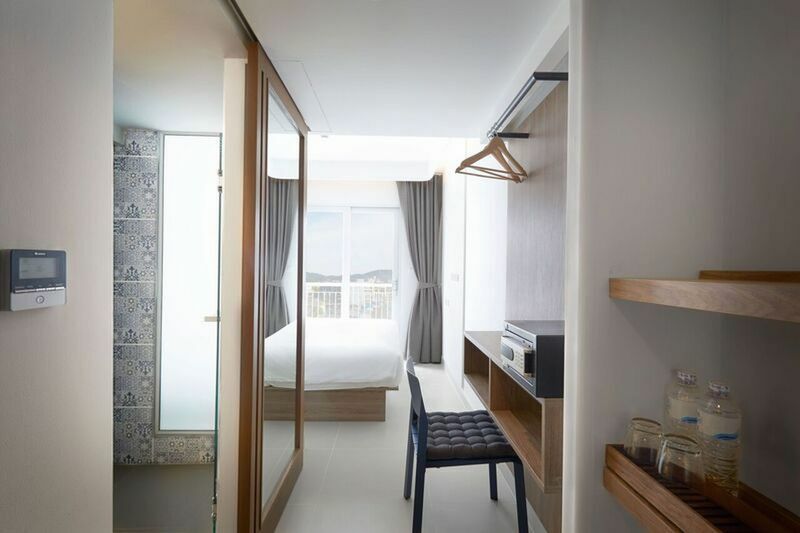 But the room is a little bit small, might fit for young couple. Next time I would rather book a larger room rather than this one. At the first night, we were arranged at a hotel room without any view, the balcony facing the wall. I was a little bit upset at first but luckily on the following day it was adjusted to a room with mountain view. In general, I am happy with this hotel. I stayed in a 4 bed female dorm for a few nights in December. This hostel is amazing! 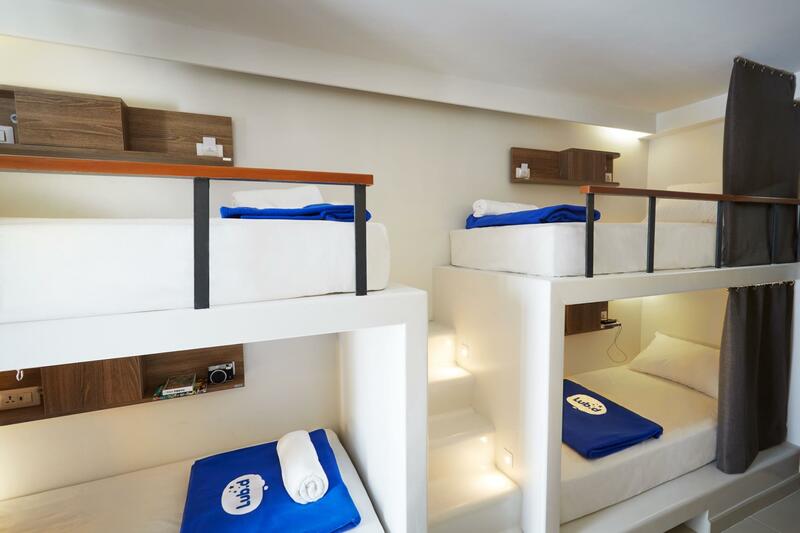 Super clean rooms, nice pool, fresh shower and beach towels provided each day, coin laundry on site, and lots of optional events (pub crawl, bus tour, half/full moon party, pool party), easy to meet other travellers. I would definitely recommend this hostel to friends! Had a really wonderful time here. As Phuket isn’t exactly the most accessible place, joining the tours held by Lub D was one of the best decisions, as it brings you to places such as the Karon Viewpoint and Promthep Cape at an affordable rate. Also, the guides were really friendly and helpful so kudos to them! Hostel has optional activities for guests. Hope to see more interesting activities on my next stay. The housekeeping lady at Blk 4, Level 4, between 5th to 6th Dec 2018, was exemplary in her job. Although she does not speak much English, she listened carefully, get the job done with a genuine smile. Though this short interaction with her, I felt the "Land of Smile" here in Phuket. 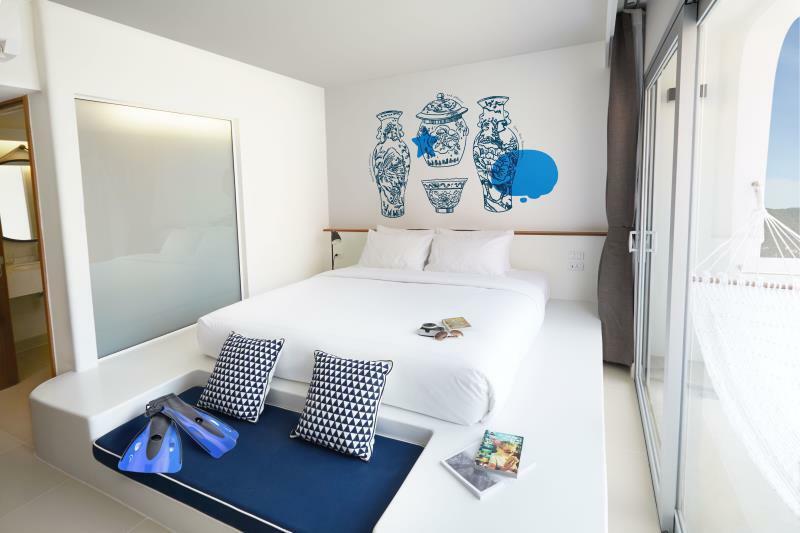 booked a junior room at Lub D Patong Hotel during my 3 night trip to Phuket with a friend and oh my, what a gem this hotel is! 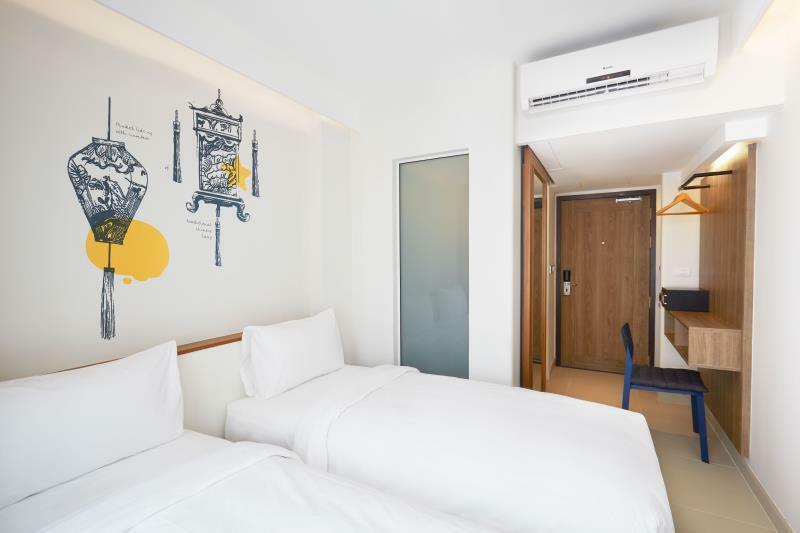 It combines dormitory style rooms with shared bathrooms and private rooms with ensuite bathroom, so it caters to a wide range of travellers. The hotel ambience itself, as well as the facilities are super chic and cool - with different public activites held at the lounge/pool daily. Patong beach is just 5 mins walk from the hotel. The hotel has a cool & young vibe with friendly staffs. Room has very basic necessities but very clean and comfy. Additional points for having Netflix on TV! Their free all-day breakfast was a good point too, we don't have to rush out to get our breakfast. Hotel facilities such as swimming pool, hammock, lounge, and games were great, we could stay at the hotel and entertain ourselves when the day is too hot to walk outside. Location is perfect. On another note, the hotel can improve on their Tour Desk. They did not have many tour options (although there are plenty of tour agents outside of hotel). I had a wonderful 3 nights stay, housekeeping lady is very courteous and she warms your heart with her genuine smile. Been to Thailand for over twenty years, I kind of felt deja vue of wonderful Thai hospitality from this housekeeping lady at Block 4, level 4, between 5th to 6th Dec 2018. Hostel has many activities for guests and I am looking forward to new activities on my next stay.